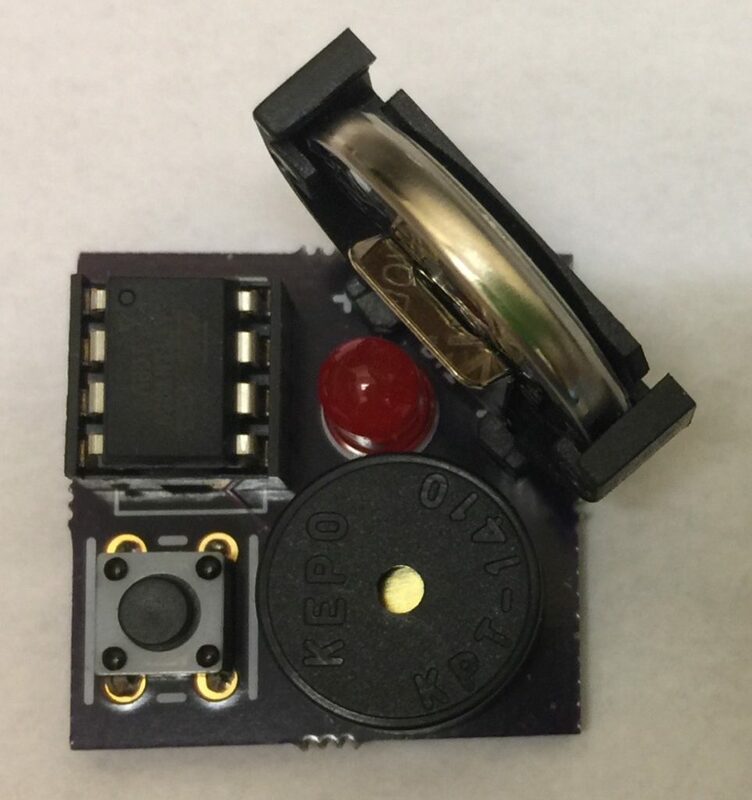 The Morse Riddler is a circuit I designed to be simple and cheap enough for kids and adults to use as a first soldering project, but powerful enough that they could have fun with it. In fifteen minutes, it can be soldered together and programmed to send riddles and their answers in Morse Code. Each press of the button will play one Morse Code message, which is either a new riddle or the answer to the last riddle. After a message, the chip goes into deep sleep to save power, not “waking” until the button is pressed again. 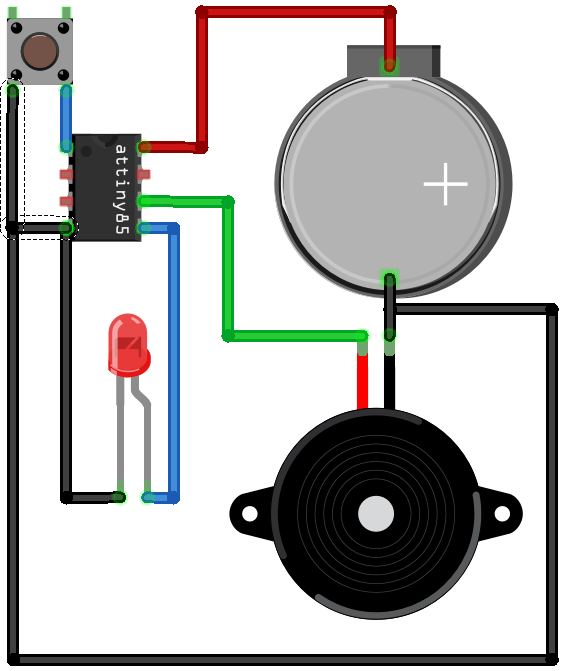 It’s a very basic circuit, just giving power from a coin cell battery to a microcontroller, and connecting the microcontroller to an LED and a piezo buzzer. The microcontroller is an Atmel ATtiny85 programmed using the Arduino development environment. A momentary switch grounds the reset pin when pressed. The firmware sends a message upon waking and then goes into low-power sleep. I designed the circuit boards myself, and had them manufactured by OSH Park. You can order more of them through the link above. Like the other links, though, I’m not making money from this, I’m just sharing my work and sources to help other folks make stuff. You can find my code on GitHub. You will see the functions for making dots, dashes, spaces between letters, and spaces between words. The code also contains a bunch of power-saving stuff that might be scary to a beginner, but it’s just there to let the circuit sleep between riddles. I’ll keep tweaking the code for clarity and power consumption. When doing the workshop with kids, I give them this handout to take home.